America: No Longer the Land of Opportunity? Let’s face it: American innovation is losing ground to places like India, China, and Brazil. 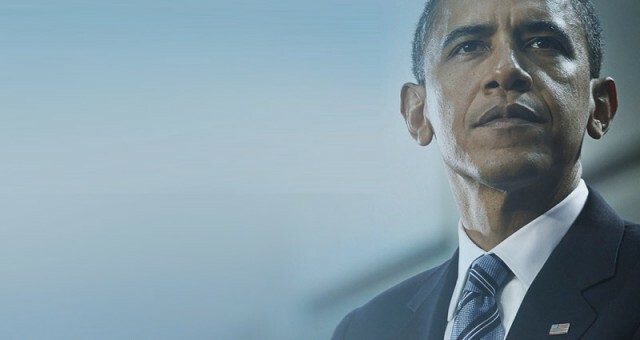 Here are five things our President should do to bring entrepreneurship back to the U.S.
After such a grueling, expensive, and emotionally taxing campaign across America, I hope President Barack Obama and Congress are ready to get back to work. It won’t be easy, but nothing could be more important to the future of our nation and our collective ability to compete in an increasingly interconnected world. Our nation–in fact, our world–faces challenges larger than we have ever seen, and every day I feel this undercurrent of pessimism that seems to pervade all walks of life. We desperately need the President to help us bring back our great country’s spirit of innovation and entrepreneurship. The United States of America became the envy of the world because we welcomed the best and brightest minds from anywhere on the planet and gave them the opportunity to succeed. Around the world, our country became known as the “land of opportunity,” and we rightfully celebrated the success of the great visionaries and entrepreneurs that made it all possible. But I am afraid that’s not the America we see today. Our finest educational institutions are attracting brilliant talent from around the world, but we are not welcoming them to stay. Instead, we are turning them away, and they are finding great opportunities in India, China, Brazil, and many other parts of the world. We are no longer celebrating the success of many of our most gifted people–the brilliant minds from the world over who used to flock to America in droves to capitalize on the unparalleled opportunities offered here. Our President’s policies should drive the very changes our country needs to compete in a global economy and overcome challenges in a world that is wrought with serious problems. In response, I encourage our President to reinvigorate his administration’s support for entrepreneurship in 2013, and I would like to offer a simple five-step plan to kick off the next four years of his presidency on the right track. These five actions carry zero tax liability and virtually no politics. Further, they carry only upside and potential. Step No. 1: Reinvest time and energy in the National Advisory Council on Innovation and Entrepreneurship that was established in 2010. This special council should make a pledge to mentor, meet, and select the top 100 CEOs from around the country. A stamp of approval from the council would go a long way toward elevating the innovations of these CEOs to the next level. It is time for the council to move beyond press releases and make it clear that it has skin in the game. Here’s an outstanding example of a college entrepreneurship program that’s leading global change: kairossociety.org, which my son Ankur Jain founded. Step No. 2: Issue a nationwide challenge to young entrepreneurs, and inspire high school students, college students, and millions across the country to think innovatively about our future and the global challenges we face. Our nation’s esteemed council of innovators and entrepreneurs should partner with Ashoka’s Everyone a Changemaker program to learn how social entrepreneurs can thrive and shape incredible innovation for the public good. By mobilizing the nation and inspiring millions of people to start a company, together we can unleash the creativity and private capital needed to fund the next wave of innovation and create millions of jobs in the process. Step No. 3: Showcase the innovations that come out of this presidential call for entrepreneurship at the White House and a series of national events, whether it be the Super Bowl or Global Entrepreneurship Week. President Obama should go beyond simply proclaiming November as National Entrepreneurship Month. By hosting the greatest innovations from this presidential challenge on a worldwide stage, Obama can lead a spirited revival of American innovation. Step No. 4: Highlight the winners from Global Entrepreneurship Week and encourage major retailers to create special “innovative aisles” in their stores to showcase and sell these new products. What if Costco, Best Buy, and Walmart all agreed to join in the effort? National media would surely follow, unleashing creative ideas available to millions of Americans. And I can assure you, once guaranteed access to customers and national media exposure are achieved, venture capitalists and angel investors will open their wallets to fund many of these innovative ideas. Step No. 5: Our President should foster entrepreneurism at every turn by forging new partnerships that span our public, private, academic, and start-up communities. A presidential commitment and call for an innovation generation will give entrepreneurs a reinvigorated opportunity to create billion-dollar companies that solve global problems. Because so many businesses and investors recognize the importance of celebrating entrepreneurism, we can achieve this with no cost to taxpayers. A presidential introduction to new customers, retailers, and national media would be a golden opportunity for these entrepreneurs, and the residual effects will be felt across the country. President Obama’s own life experience and path to the presidency (now for a second term) remind all of us that innovation and entrepreneurism are the foundational elements of this great nation. Unfettered, creative, and enthusiastic entrepreneurship is one of the hallmarks of American life, and it has allowed us to attract the best and brightest to this country. I encourage President Obama to embrace this uniquely American trait at every turn and use his vast influence and power to bring back America’s spirit of innovation and entrepreneurship. With his support and unparalleled leadership, we can capitalize on the ideals that truly make this a great nation, attract and retain top talent, foster growth, and mobilize an American boom that will pay dividends for decades to come.